Molybdenum oxide sputtering targets for the manufacture of highly absorbent functional layers. Whether it be the reliable separation of subpixels, an elegant way of covering conductor strips or the prevention of unwanted reflections from the ambient light, molybdenum oxide layers, with their low level of optical reflection, have a wide range of applications in modern flat screens. We supply different chemical compositions of MoOx in the form of planar targets for producing these layers. In order to adjust the etchability of the MoOx layer to meet your requirements, we dope the molybdenum oxide with other metallic elements. Modern desktop monitors and large TV screens often dispense with the plastic frame (bezel). 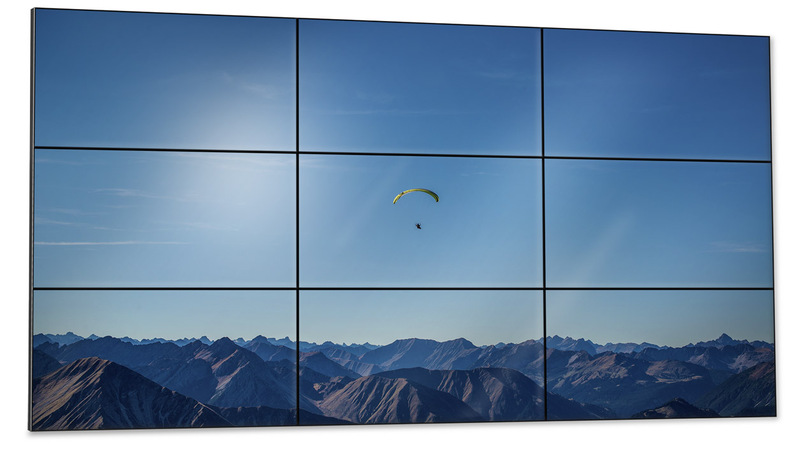 This improves the appearance and allows several screens to be put together to form one large display. But when the plastic frame is missing, the highly-reflective molybdenum, aluminum or copper conductor strips on the TFT glass are no longer covered. This can be overcome with an additional anti-reflection coating made from MoOx. It reflects less than 6 % of incident light (at 550 nm), thus making conductor strips invisible. 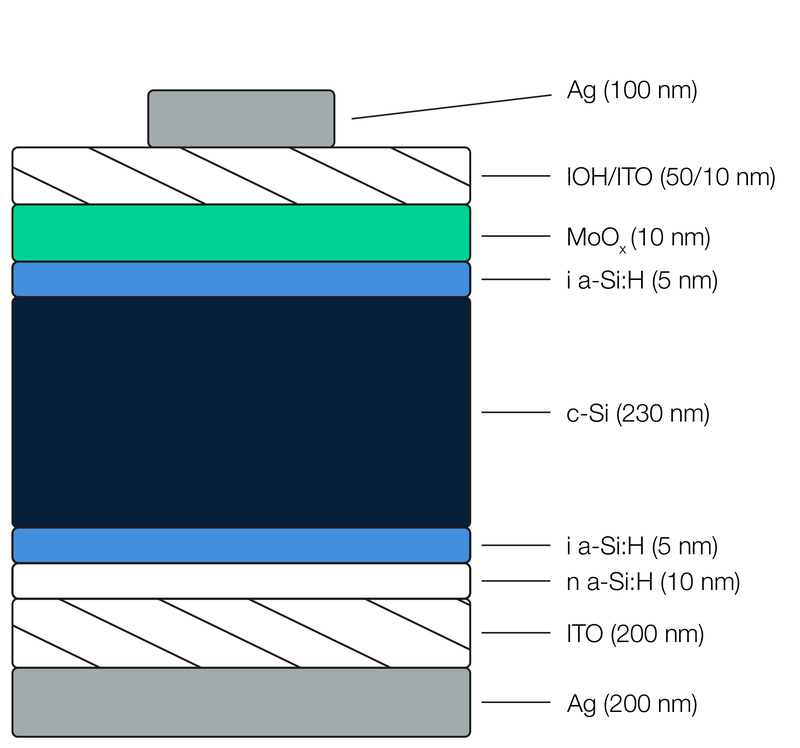 This cross-section shows how a molybdenum oxide layer covers the conductor strips in narrow-bezel screens (= dark oxide layer). OLED: Anti-reflection layer and electrode in one! 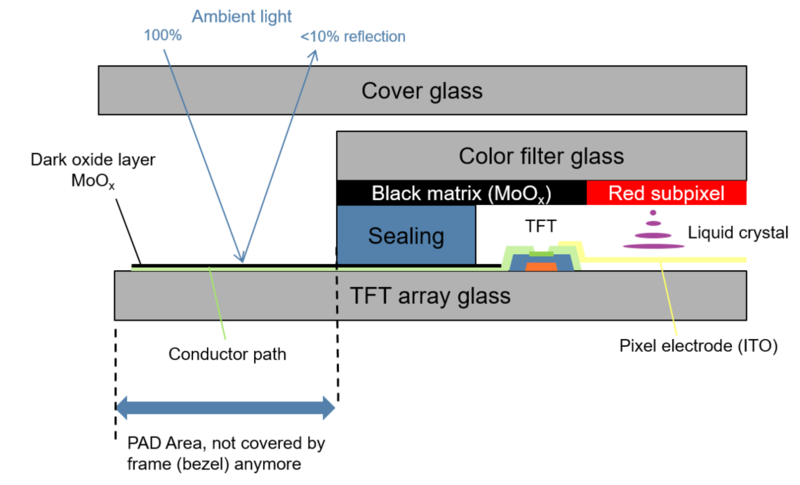 If ambient light falls on OLED displays, the molybdenum layers of the TFT metalization (gate, source/drain electrodes) reflect this light and thus reduce the contrast of the display. Circular polarization filters are used to reduce unwanted reflections such as these. 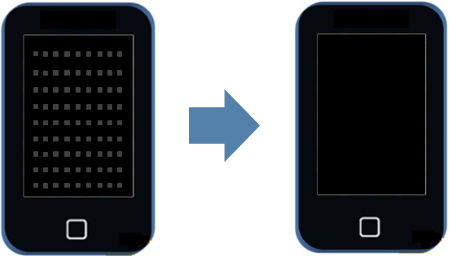 Although they reduce reflections from the electrode, they also lower the light yield of the display. Because MoOx absorbs light very well and is also an electrical conductor, the material is an ideal anti-reflection layer for the TFT metalization. Whereas metallic molybdenum reflects around 60 % of incident light, this value is less than 6 % for an MoOx layer of the same thickness. By using MoOx, OLED manufacturers can dispense with the polarization layer. A thin molybdenum oxide PVD film prevents unwanted reflections from metal surfaces (metal bridges) with capacitive touch sensors. A molybdenum oxide coating renders touch sensors in touchscreens invisible. Transparent MoOx films are another field of application. Adding oxygen during the coating process allows the oxygen content of the films to be adjusted to a stoichiometric amount for MoO3.These films display special electronic properties, above all, a high electron work function.This means that transparent MoOx films can be used as "hole injection layers" (HIL) in OLED technology. Organic solar cells also benefit from additional MoO3 layers. For more detailed information, see the article Thin-film metal oxides in organic semiconductor devices: their electronic structures, work functions and interfacesinNature Research. 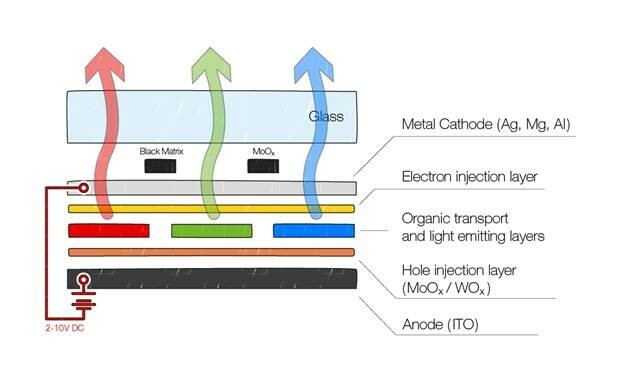 Recently, transparent MoOx films have also been described in high-efficiency heterojunction silicon solar cells. Researchers at the EPFL Institute in Lausanne have published initial papers on this topic. See publication: Silicon-based heterojunction solar cells. Our coatings experts will be delighted to advise you. We test the properties of molybdenum oxide coatings in our own coatings laboratories. We are happy to advise you on different material compositions, coating thickness and process parameters. For us, there is nothing better than practical knowledge: In our in-house sputtering laboratory, we test the properties of thin films made from our materials.